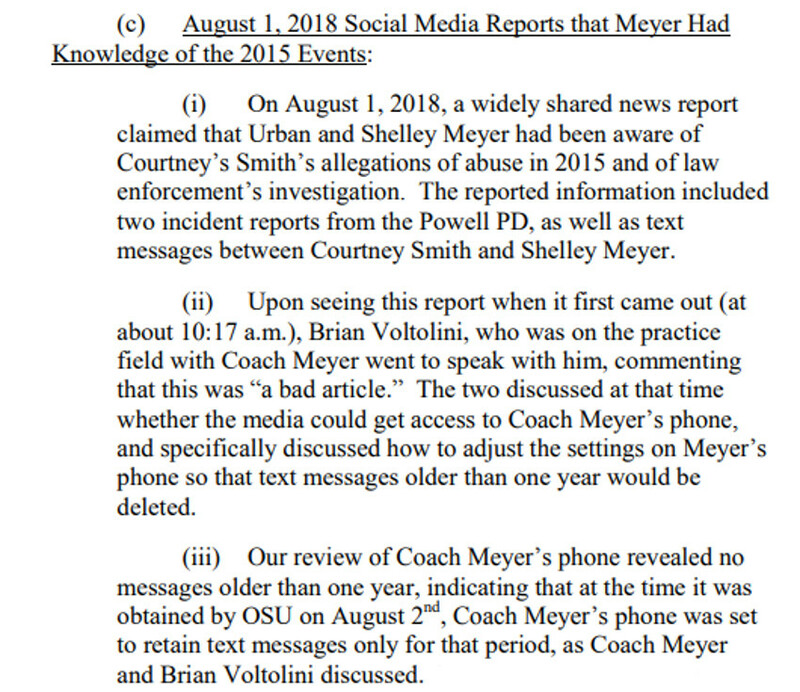 The report was released after the Ohio State press conference, and it carried a whole lot of details likely to spark comment. 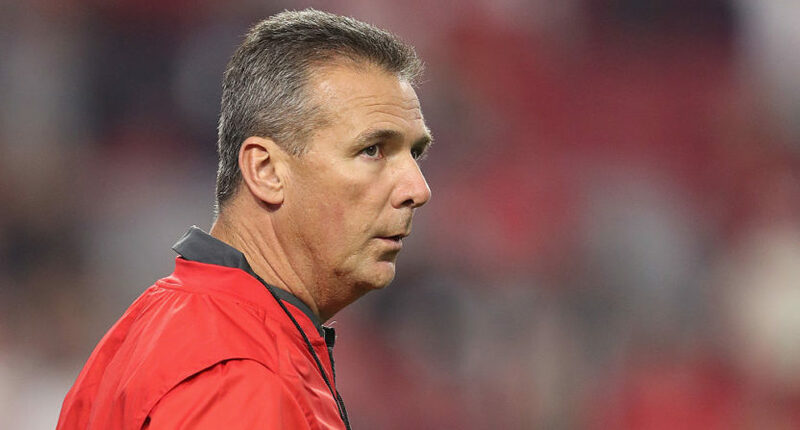 Ohio State’s decision to suspend football head coach Urban Meyer for three games (while also suspending athletic director Gene Smith) Wednesday night after all-day meetings provoked plenty of controversy in its own right, especially after his response to “What message do you have for Courtney Smith?” was “Well, I have a message for everyone involved in this; I’m sorry that we’re in this situation.” But the controversy was elevated further after the press conference when Ohio State released the full independent report (led by Mary Jo White, the former SEC chair and U.S. attorney for the southern district of New York, and available here as a PDF) into the actions of Meyer and Gene Smith around allegations of domestic violence against former wide receivers coach Zach Smith (no relation to the AD), which had a whole lot of remarkable elements. Here are a few of those. 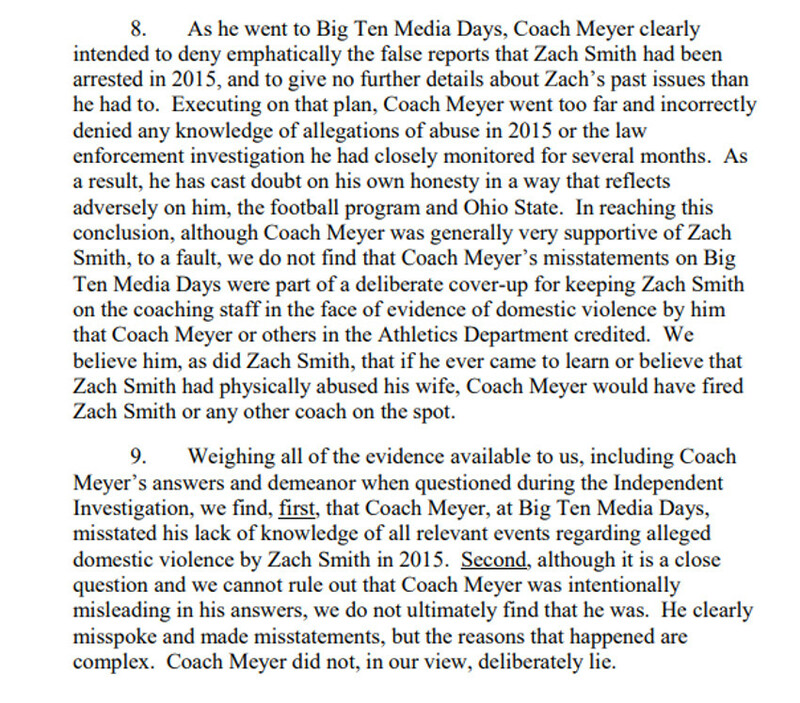 Yeah, none of that looks all that great for Meyer. And it’s interesting that this all only came out after his brief press conference. We’ll see where this story goes from here, but the three-game suspension certainly hasn’t alleviated all the criticism against him.